President Silanyo will travel to Turkey to discuss bilateral relations with the Turkish Government upon an official invite from President Erdogan. 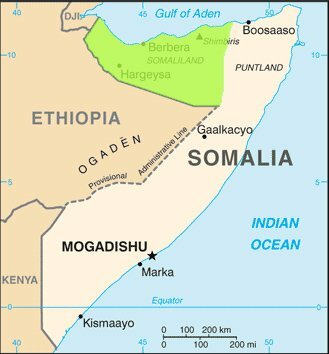 “I hereby take this opportunity to contradict the unionism belief of president Hasan of Somalia by informing him that reunification of our two countries is not only a falsehood in its totality but an outcome that shall only occur in dreams of those who fail to grasp and come to terms with the reality that Somaliland's sovereignty is never to be revoked nor Discussed anywhere ever"
Said president of Somaliland Ahmed Mahmud Silanyo during a pre-Turkey departure press conference at the Egal International Airport VIP Lounge in reference to continued innuendoes that Somaliland is part and parcel of Somalia by the president of the Somalia federal Government Hasan Sheikh Mahmud. Reiterating that Somaliland was an independent country less international recognition the head of state informed those with designs to turn forthcoming internationally sanctioned talks between his country and Somalia later this month in Turkey that the talks as those preceding shall only take place if they are held by two equal nations. Somaliland withdrew from its 1960 voluntary union later turned fateful with Somalia in 1991 after a bloody civil war waged by SNM after forces loyal to then Dictator Mohamed Siad Barre massacred in cold blood over 60,000 somalilanders whose bodies were haphazardly buried in mass graves where skeletal remains continue to protrude for all to see during the rainy seasons more than two decades after. On his visit to Turkey president Silanyo said that he expects enhancement of bilateral relations with the host country whose government has been a good friend and valuable development partner of Somaliland over the years.